As of now there must be around millions of fonts on this planet and with every passing day a few more come into existence. Font styles always differ across different fonts and with millions of fonts out there, its impossible for us to identify most fonts. Definitely you might have come across many font styles on the internet or anywhere else which must have been according to your liking. But the problem is we just can’t identify a font by seeing it. But if you are interested to know more about the font and from where you can get it , we will show you how you can do that. Identifying various fonts is impossible for us but on the other hand there are many websites on the internet that can help you with identifying various fonts. 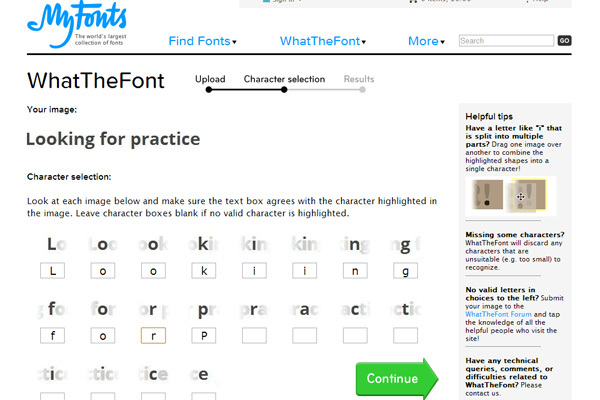 Here is one of these websites which can help you to identify most fonts. MyFonts is one of the most popular websites online which has the largest collection of free and paid fonts to download from. 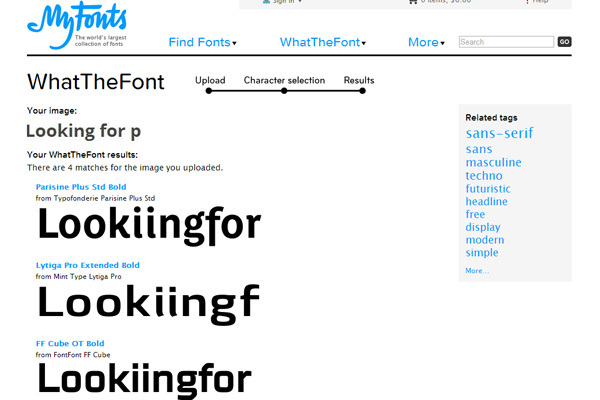 Apart from being a huge database of fonts, the website even lets users to identify new fonts and download them if they have have the font available in their database. All you might need is a picture or the screenshot of the font style and once you have got them you can follow the instructions below to identify the font. Note: Here are some things that you need to know before you take the screenshot of any font. Step 1: Take a screenshot of the font or even a picture if the font is not digital. Alternatively you can even specify a image URL. 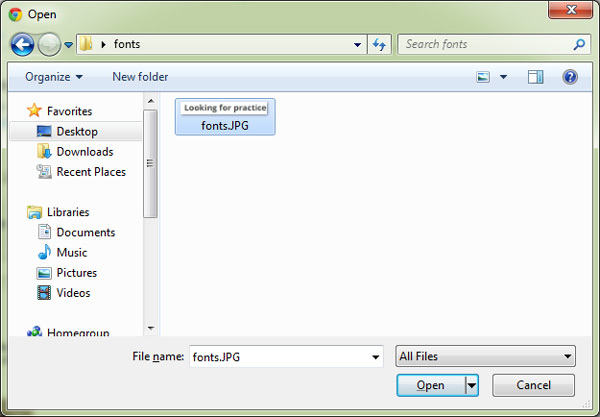 Step 3: Click on the choose file button and select the screenshot of the font and click on Open. Step 4: Now click on the continue. On the next page you will be need to check each of the alphabets against the fonts that are available in the MyFonts database. Type in each of the words in the boxes provided below to check them and finally click on Continue. 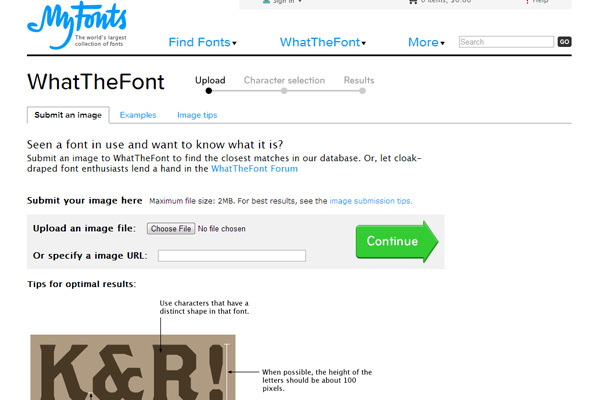 Step 5: Now the site will display you all the fonts that closely resemble the screenshot of the fonts uploaded by you. Now you can choose from the fonts that are displayed and go ahead and purchase them. In case the font cannot be identified, you can head over to their forum and take help from other members to identify out the font.